Liquid Donkey milk soap benefits. The popularity of Donkey Milk has increased over the last years because of its many skin care, hair and body benefits. Liquid Donkey milk benefits. Cleopatra, queen of Egypt regularly bathed in donkey’s milk is certainly to maintain her beauty. It is said that there should be no less than 700 donkeys to provide the quantity of milk needed for her Donkey’s Milk baths. Donkey milk reappears in nowadays as the star of cosmetics and promises great benefits and fantastic results. Between other cosmetics, there is also the perfect Liquid donkey milk soap. Want you to know more about the liquid donkey milk soap benefits? Then read further. What are the Liquid Donkey milk soap benefits? One of Liquid Donkey Milk Soap benefits is that it has a nice creamy lather. Donkey milk adds creaminess to the soap and the sugars in the milk add bubbly lather. As another of many Liquid Donkey Milk Soap benefits is that hydrates and softens skin. Donkey’s milk has a pH level very close to the pH level of human’s skin, it helps to moisturize and keep the skin’s oils in balance. Liquid Donkey Milk Soap reduces skin irritations. Donkey’s milk in Liquid Donkey Milk Soap is especially high in Vitamin A, which is crucial in repairing damaged skin tissue and maintaining healthy skin. Liquid Donkey Milk Soap erases wrinkles in the skin. The product possesses a verified anti-wrinkle effect, eliminates wrinkles and prevents these from appearing product of the passing of time in the skin, face and neck. Liquid Donkey Milk Soap regenerates skin. The soap of donkey milk is regenerative for the skin because of high levels of protein, phospholipides and ceramides, which in turn confer it with both soothing and restructuring properties. Liquid Donkey Milk Soap provides natural anti-aging skin care. The rich composition of donkey milk with high protein levels of phospholipids and vitamins A, B, C, D, and E – make it excellent for anti-aging, wrinkle treatment, restructuring and regenerating facial with excellent results. Liquid Donkey Milk Soap has powerful anti-aging and healing properties as it contains essential fatty acids. These fatty acids minimize the appearance of fine lines and wrinkles and help to regenerate damaged skin. Liquid Donkey Milk Soap protects from the ever-present danger of bacterial infections. Liquid Donkey Milk Soap helps people with eczema, neurodermatitis or psoriasis. Liquid Donkey Milk Soap helps yang people with skin allergies or acne. Acne is a nightmare for yang people but not anymore after using the Liquid donkey milk soaps. With daily baths. Thanks to its rich composition Liquid Donkey Milk Soap is an excellent moisturizer. How to use Liquid Donkey milk soap to get the most of Liquid Donkey milk soap benefits? Just put on your hands a little bit of Liquid Donkey milk soap and apply it to all your body. After draining with water. Our Liquid Donkey Milk soaps consist except raw Donkey milk also of natural vegetable oils like olive oil, castor oil, coconut and sunflower oil. These oils are carefully blended with Donkey milk so that they make a luxury natural Liquid donkey milk soap. Liquid Donkey milk soap benefits? Castor oil is Effective to make rich suds (foam) and gives moisturizing properties to the final product. Sunflower oil is a natural and healthy way of maintaining great skin, thanks to its calming and emollient (moisturizing) properties. 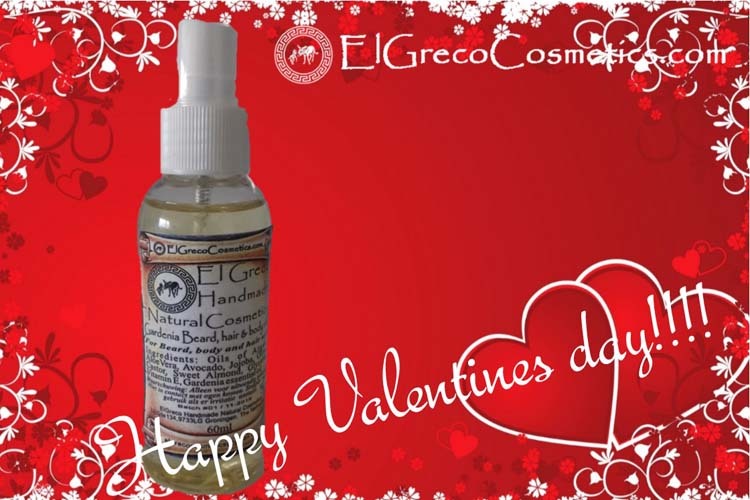 Why El Greco handmade Natural Cosmetics Liquid Donkey milk soaps? Our products are made with natural organic ingredients so you don’t have to wonder about the integrity of the face cream your body is absorbing. The fact is chemicals absorbed through the skin go straight to the blood-stream and are carried off to the rest of your body (liver). They don’t get filtered and broken down in your stomach as your food does. We believe transparency is the only way for our customers to know they can put their confidence in El Greco handmade natural Liquid Donkey Milk soap. Genuine organic products are clearly labeled so you can make an informed choice about the product you are buying. A complete series of skin hair and body care products. Our handmade natural face creams and body lotions with donkey milk yield a rich, creamy, moisturizing effect that is high in vitamins, antioxidants and bioavailable nutrients that nourish your skin from the outside in. El Greco Liquid and bar donkey milk soap is not just a moisturizer, soothing dry and damaged skin, but possesses an anti-inflammatory effect. 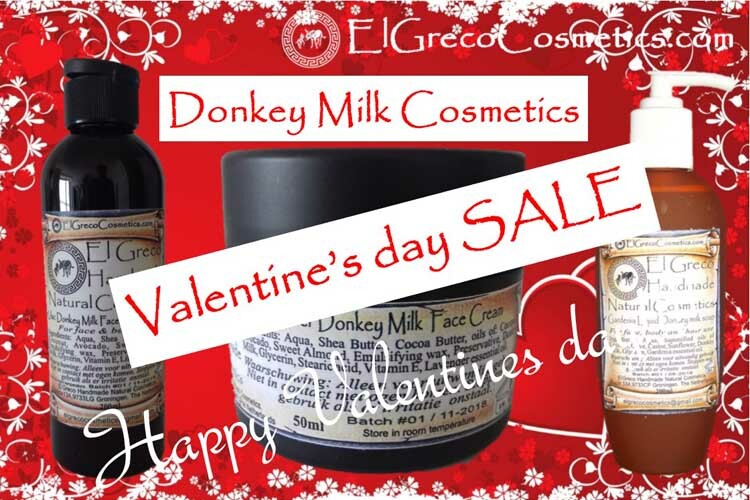 We at El Greco Cosmetics based on our own experience recommend our donkey milk beauty products for all skin types. You can rest assured that all our products are made with 100% natural ingredients, free from parabens, sulfates, petrochemicals, and synthetic colorants and fragrances. So not only they look good and smell beautiful, but more importantly are good for you! Organic Natural Donkey milk Cosmetics avoid the use of synthetic chemicals, artificial preservatives, irradiation, genetically modified organisms, and animal testing. Most of their ingredients are produced through organic agriculture. Get relaxed and tension free by using El Greco Cosmetic’s Donkey milk products. The best way to find out is to put it to the test! Purchase some jars of our handmade Donkey milk face cream, from the e-shop of our website and give them a try. I can assure you, the experience will be well worth it. We are sending our handmade natural donkey milk products free of post-charge worldwide if your purchase is €90 or more. You Read Our Whole Blog Article! Yeah!! Your New-found Education Has Gifted you an additional Coupon Good for 20% off on Your first Entire Order! Use your coupon at checkout. Get social with us to find out about Liquid Donkey Milk Soap Benefits! I would appreciate it if you just let me know what you think of this article, and let hear your opinions. Thanks! Find out more about Liquid Donkey Milk Soap Benefits. WHY EL GRECO COSMETICS DONKEY MILK FACE CREAM?